One unavoidable by-product of progressive rock flourishing into a hugely popular genre was that the music industry was soon attempting to extract its pound of flesh from the more upwardly mobile bands of the era. According to Dave Sinclair organist with Caravan who released their seminal In The Land Of Grey And Pink in 1971 the road ahead for young bands was becoming noticeably hazardous. “There was a feeling that the business side of things was really starting to take off ” Sinclair recalls. “Many bands of that period were starting to be exploited by managers and agents who could see the potential for earning bigger profits. Although only three years old when 1971 rolled in Porcupine Tree’s Steven Wilson has latterly been immersed in the sounds of 1971 more than most thanks largely to his recent and ongoing work on the remastered and 5.1 surround sound versions of such classic prog albums as King Crimson’s Islands Caravan’s In The Land Of Grey And Pink and Jethro Tull’s Aqualung. As thoughtful as ever Wilson’s theory about 1971 is that it was simply the culmination of processes and forces that had been gathering momentum for years. In a magazine readers’ poll for the top prog album of 1971 In The Land of Grey and Pink came in 6th place. To read the complete article also featuring Genesis ELP and many more buy the latest issue of Classic Rock: Presents Prog Magazine.. OUT NOW. 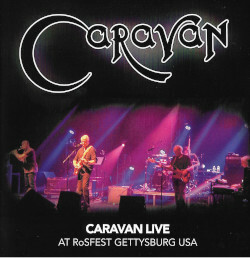 This entry was posted in News, Reviews and tagged 1971, Classic Rock Magazine on June 6, 2011 by caravan.